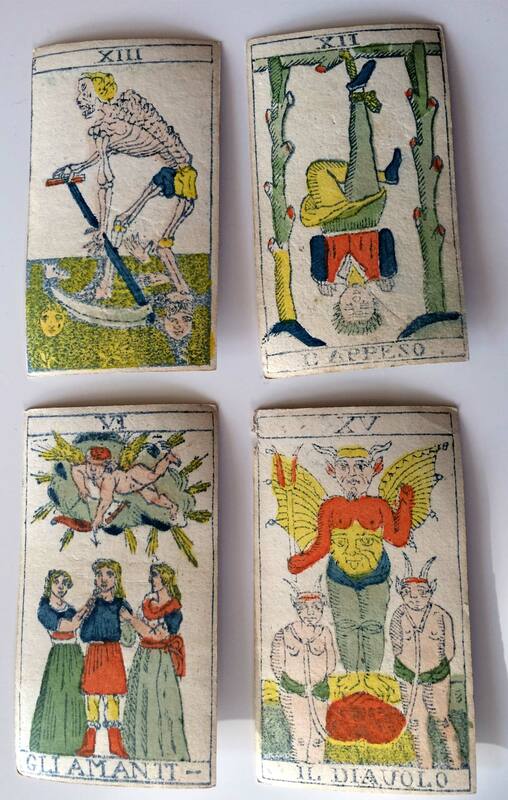 North Italian Piedmont tarot deck published by Solesio of Genoa c.1860. 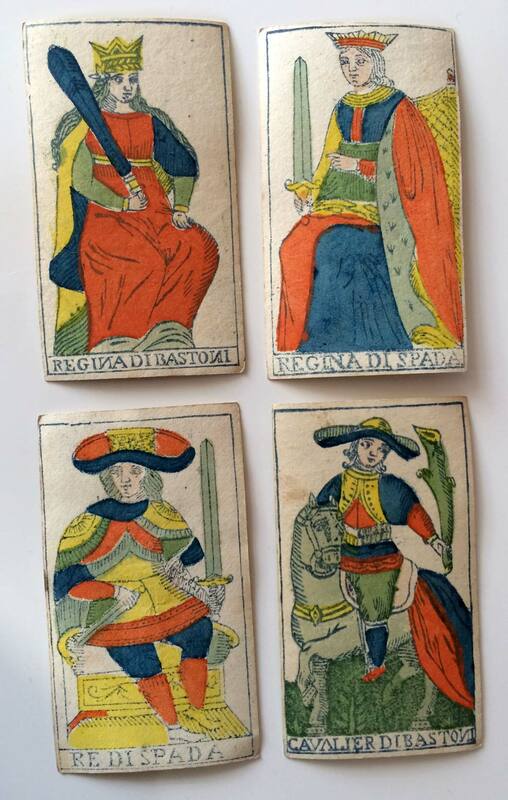 The Solesio family was a dynasty of card-makers first recorded in the early 17th century, with branches in Italy and Spain. Factories were operated by successive descendents of the family but it is not clear who V.F. 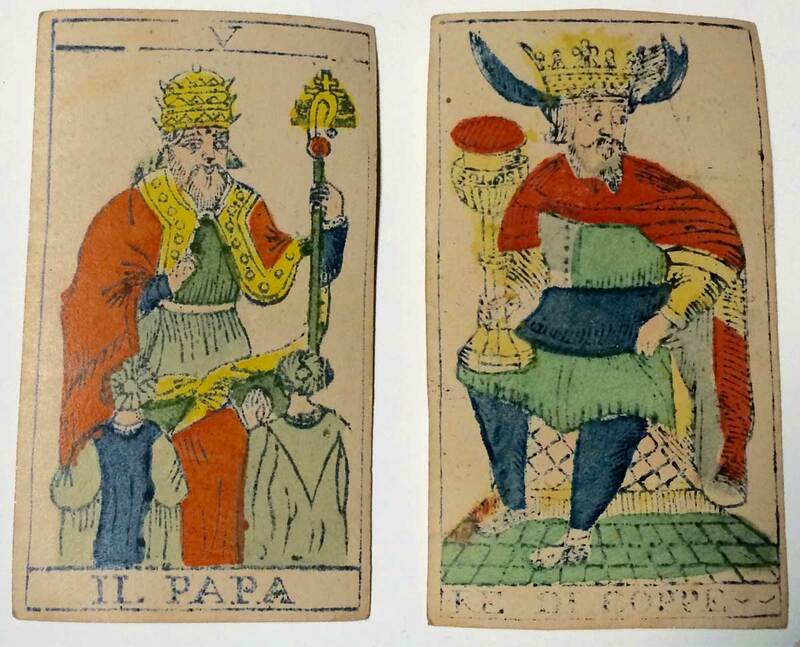 Solesio was, possibly Vittorio Filippo Solesio (1846-1893), Faustino's son, as the original inscription on the two of cups woodblock appears to have been altered, and V.F. 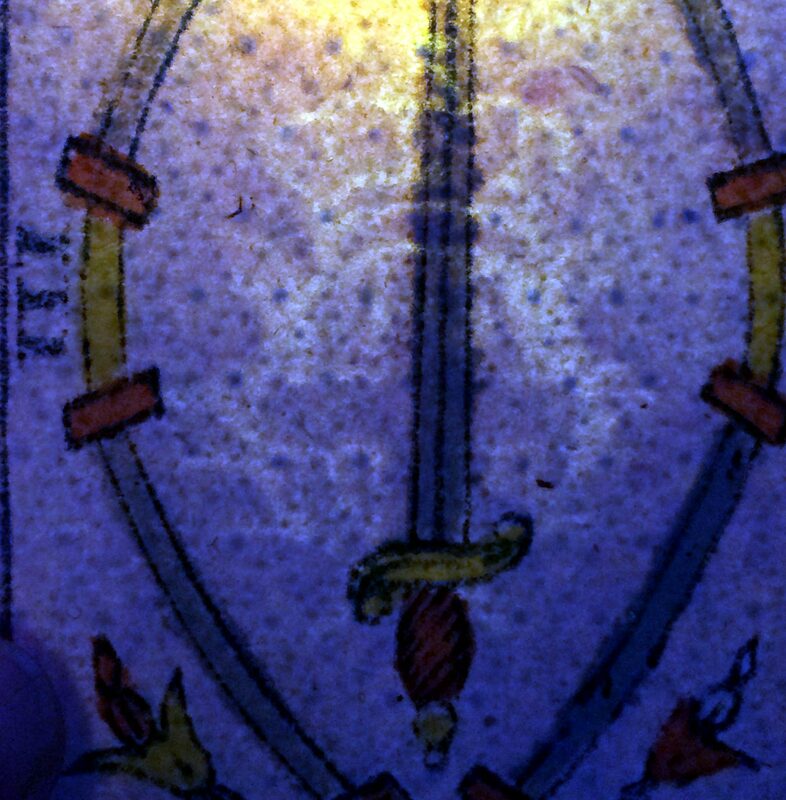 Solesio overprinted onto blank space on the four aces. The Italian branch of the business survived into the 1980s, exporting extensively and developing cheaper production methods, putting many competitors out of business. 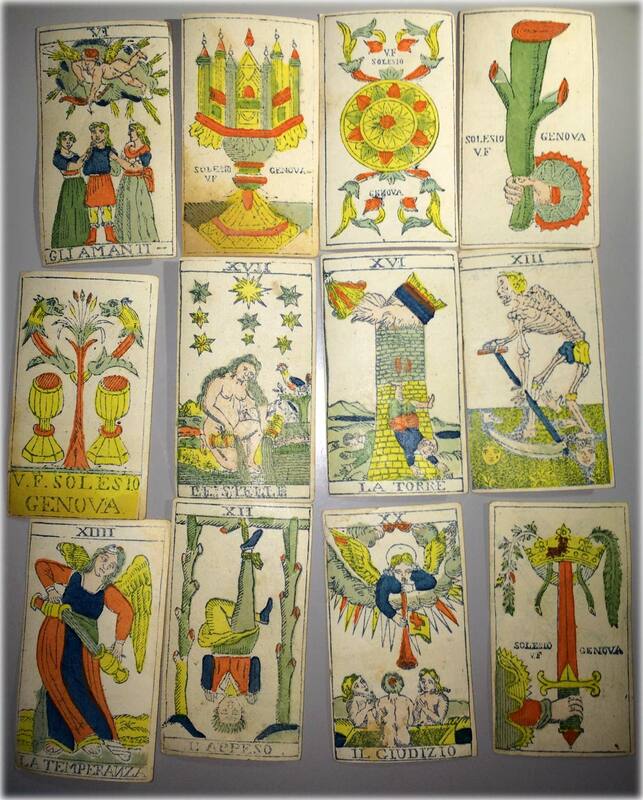 Above: the names of the court cards and trumps are in Italian in this example, although sets with French inscriptions are also known. Roman numerals are used on the trumps. 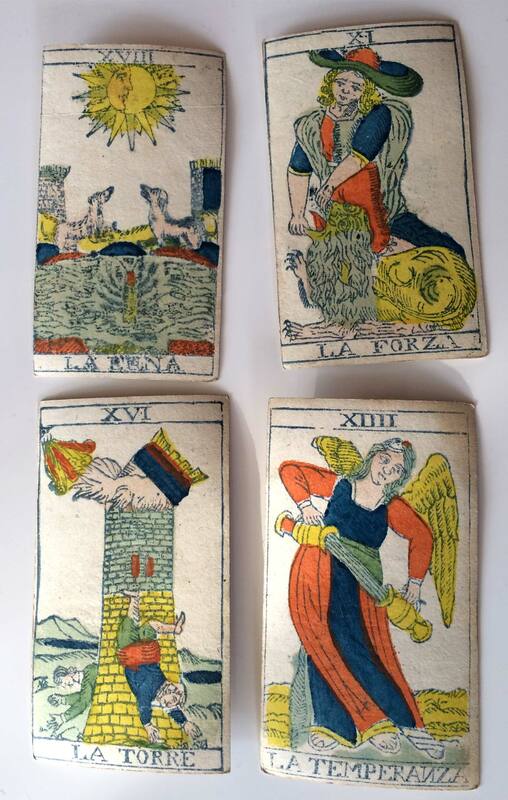 Above: Piedmont tarot from the mid-late 19th century printed in blue ink with stencilled colours. All images courtesy of Maria Alessandra Umiltà. 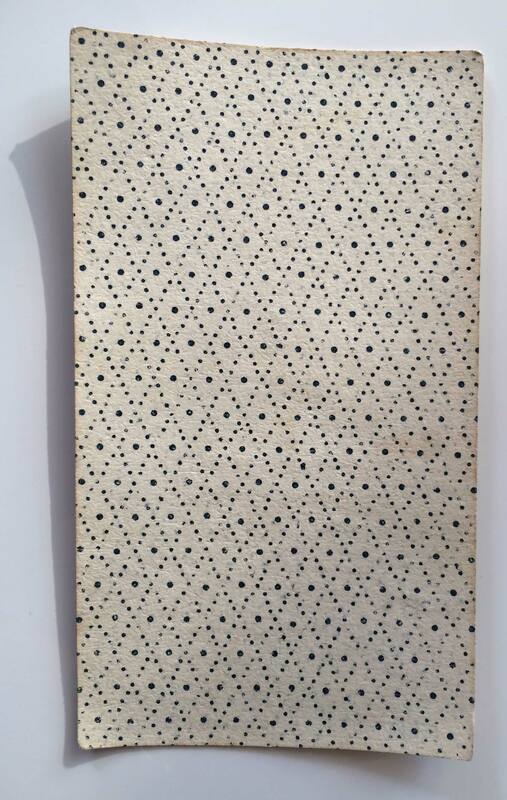 Bellezza, Maria: A Todos Alumbra, in “La Sota” Nº19, Asescoin, Madrid, 1998. 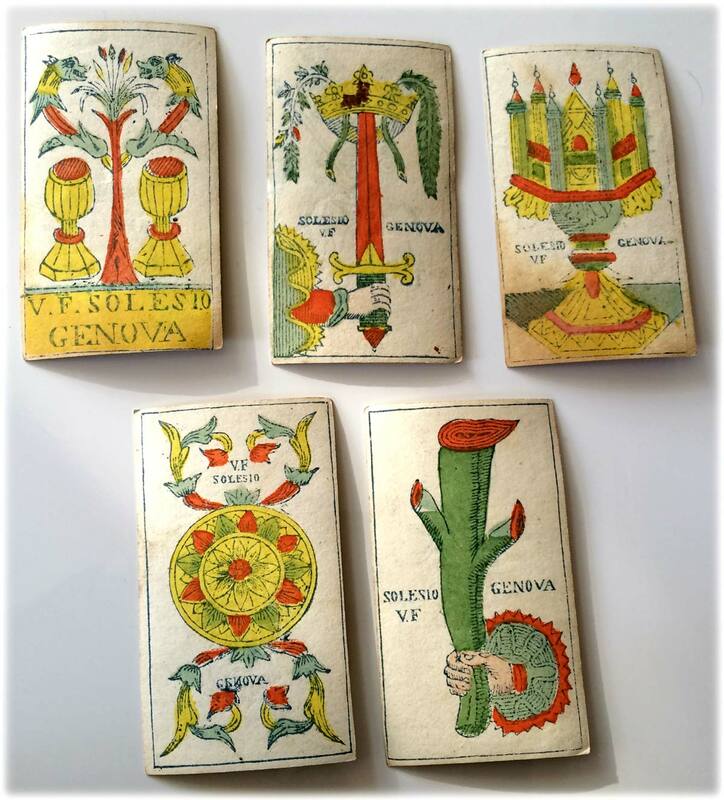 Thanks to Alberto Pérez González and Jean Darquenne for additional research.